A curved up-eye medium wire hook design, especially effective for shrimp, caddis, pupae and other emerger imitations. Up-Eye, Black Nickel. 25 hooks per pack. Made with 2x extra heavy gauge wire, making it suitable for heavy nymph patterns that need to get deep fast. 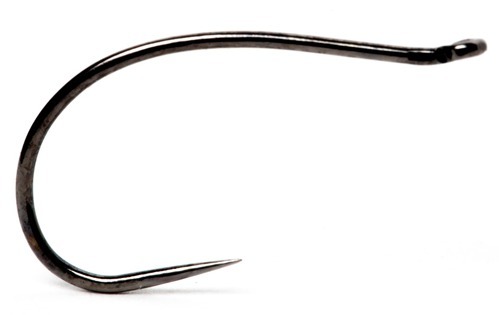 Czech Nymph competition hook. Heavy wire. The Kamasan B100 fly hooks are superb fly tying hooks the special loop bend gives life like shape to shrimps and grubs.